anonymous.d is looking for original responses… We are looking for something simple but powerful enough to intrigue the passer by. We want people who see the work to question the visual but to be even more surprised the unique architectural/human experience this work will offer. We are also looking for the technical intelligence of mounting a relatively small structure by the use of simple materials assembled together in a sophisticated way leading to a unique aesthetic expression. Parametric design methods are encouraged. 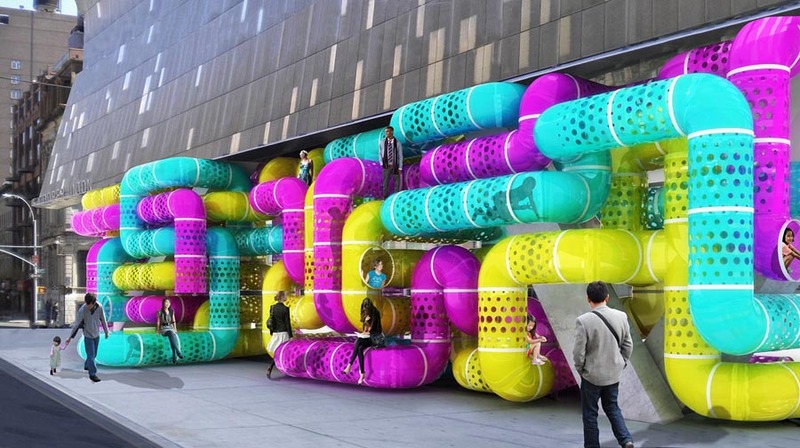 Hostetler and Melnyk’s proposal, very cleverly titled CMYPlay, offers an interactive playground type solution for children and adults alike, composed of three intertwining networks of colorful tubes neatly packed into the sheltered space of the façade, hugging the base columns and converting the functional space into an activity-filled one, while still allowing easy entry to the gallery. The idea is to encourage play in the busy urban environment. 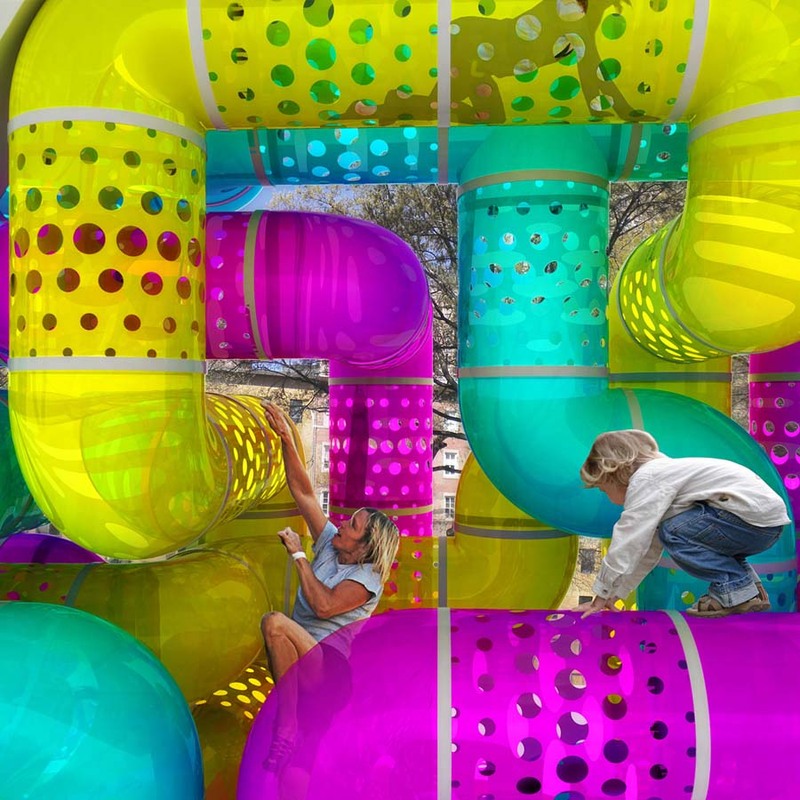 Once the exhibit/installation ends, the tubes would be distributed to local schools and parks eliminating waste and continuing the fun. You might want to also take a look at Melnyk’s Ice Womb and Sukkah Shift hut made entirely of cardboard packing tubes. Nice work! This entry was posted in Architecture, Fun, Just Plain Cool, NYC, Stuff We Like. Bookmark the permalink.